The Kiwanis Club of Mt. 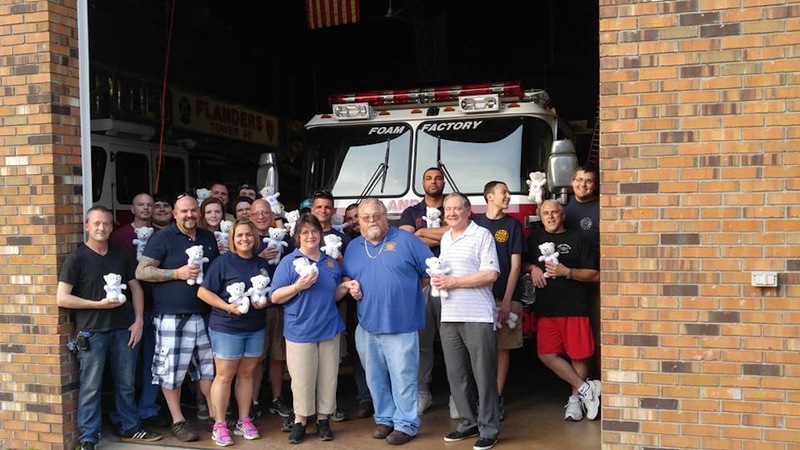 Olive Township recently donated 50 “trauma bears” to the Flanders Fire Company & Rescue Squad as part of the club’s ongoing “Caring with Bears” project. The stuffed animals are donated periodically to local Fire, EMS, Police, and local hospitals to provide those children involved in traumatic or emergency situations some comfort. Past recipients include the Budd Lake Rescue Squad, the Mt. Olive Police Department, Hackettstown Regional Medical Center, and St. Claire’s Hospital in Denville. For further information about the project, the Mt. Olive Kiwanis Club, or how you can help, please reach out to Richard J. Moore, Jr., President, at 973-770-3575 or rjmoorejr@optonline.net or visit www.mtolivekiwanis.org.